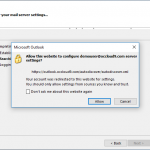 In order to setup Outlook on Windows autodiscover must be setup for your domain. 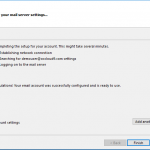 If you are unsure or Outlook setup fails please contact OCCloud9 Support. 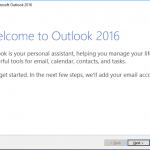 Open Outlook and click Next. 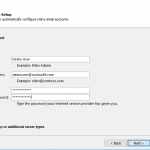 If prompted Re enter your password. 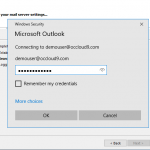 Check “Remember my credentials” if you wish to have Outlook remember your user and password. 6. Click on Finished. 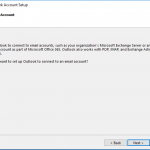 Outlook will now open and begin to sync your email.